Becoming an online slots god takes a combination of skill, timing, good fortune and one of Playtech's best jackpot slots, Age of the Gods, the original installment in the prolific 'Age of the Gods' series of slots. In fact, unlike other mere mortals in the iGaming world, the Age of the Gods series slots have the power to give players at all stakes a shot at eternal riches. To find out why the original installment of the jackpot network can turn simple bets into heavenly wins, stick with us for the next few minutes as we take you through our Age of the Gods slot review! 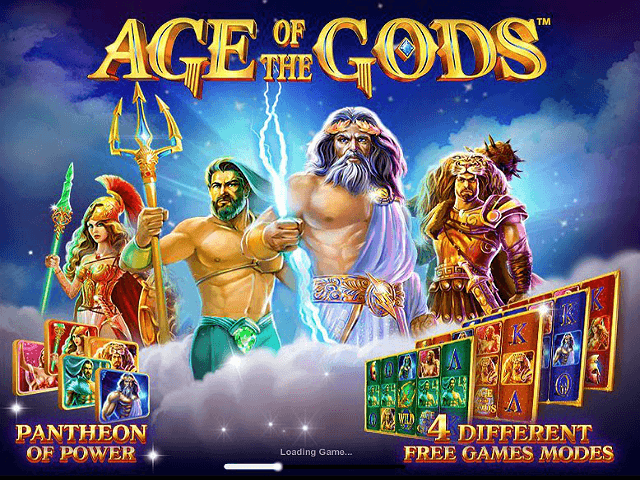 Play Age of the Gods Slot Demo for Free! Play Age of the Gods for Real Money! The first release in the 'Age of the Gods' jackpot slot series, this spinner combines big money payouts with spectacular graphics and an engaging storyline. When you start your quest to become a betting deity with bets as small at £0.20, you'll be able turn the 5 reels and 20 paylines in wins ranging from 12x to 10,000x your stake. 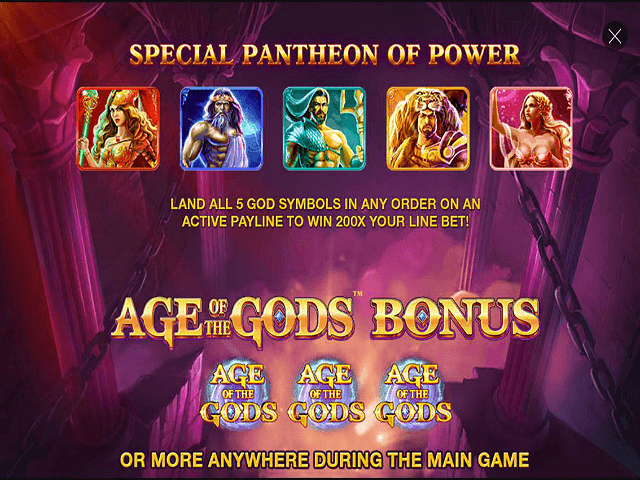 As with everything Playtech puts together, the Age of the Gods online slot machine combines a contemporary design with a simple betting structure. Like vivid images of Athena, Hercules and the rest of the religious icons, the betting bar is clear and concise. Because the number of win lines is fixed, you'll only have to worry about adjusting the "bet per line". This is great news for newbies because it means you can click, spin and win in an instant. Athena Free Spins Games = When 3 Athena symbols roll into view, you'll win 9 games and random multipliers worth up to 5x. Zeus Free Spins Games = For those that earn the favour of Zeus, this bonus round will give you a multiplier that increases every 3 rotations as well as 2 fixed wilds on reel 3. Poseidon Free Spins Games = When the sea god rolls into play, he'll shoot his trident at random intervals and transform up to 5 symbols into wilds while the reels spin 9 free times. Hercules Free Spins Games = Hitting 3 Hercules symbols will summon the mighty mythological hero down from the heavens. Once in play, Hercules will cover the 3rd reel and act as a stacked wild as you roll through 9 free slot spins. 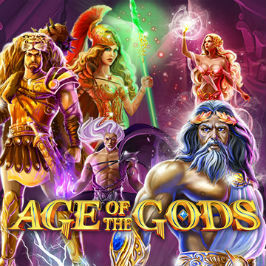 The 'Age of the Gods' progressive jackpot network connects with every installment of the series, including the original Age of the Gods slot as well as the newer installments like Age of the Gods: King of Olympus. Players enjoying any of the slots in the series can win a life-changing sum pooled from a wealth of different Age of the Gods games all across the web. If all this wasn't enough, the Age of the Gods progressive jackpot is there to turn your small stakes dreams into a big money reality. 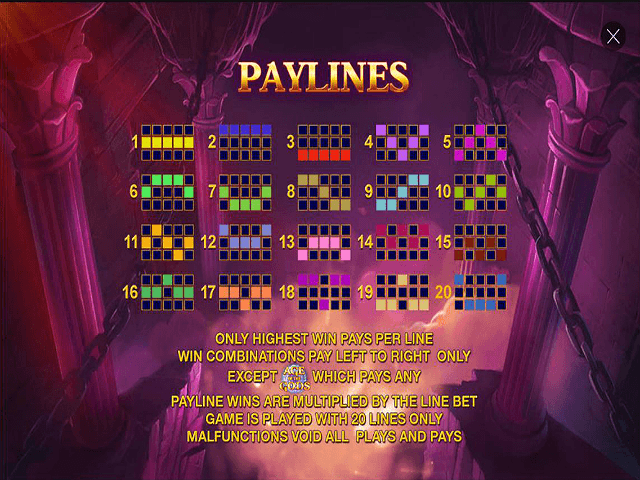 Unlike other progressive jackpot slots, Age of the Gods big wins don't cost a fortune to unlock. Regardless of the stakes you're playing for or the symbols in view, this jackpot slot can take you to into a bonus game whenever the gods feel like it. Once you've entered the mini-game, all you have to do is uncover mystery symbols and match three to win a progressive jackpot that's worth hundreds or even hundreds of thousands. 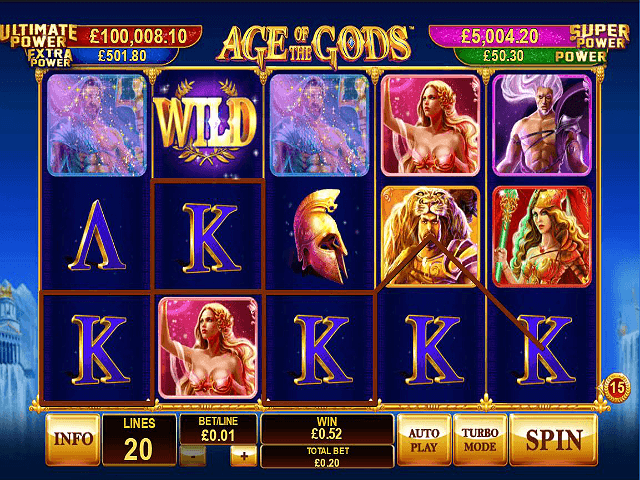 So, for a heavenly online slots experience where you could win in £100,000+ from as little as £0.20, make sure take a spin with Age of the Gods slots. The massive jackpot network is now considered Playtech's premier jackpot network following the disbanding of the lucrative Marvel Jackpot Network. Share this Age of the Gods Review today! If you like Age of the Gods, you'll love these slot titles too!